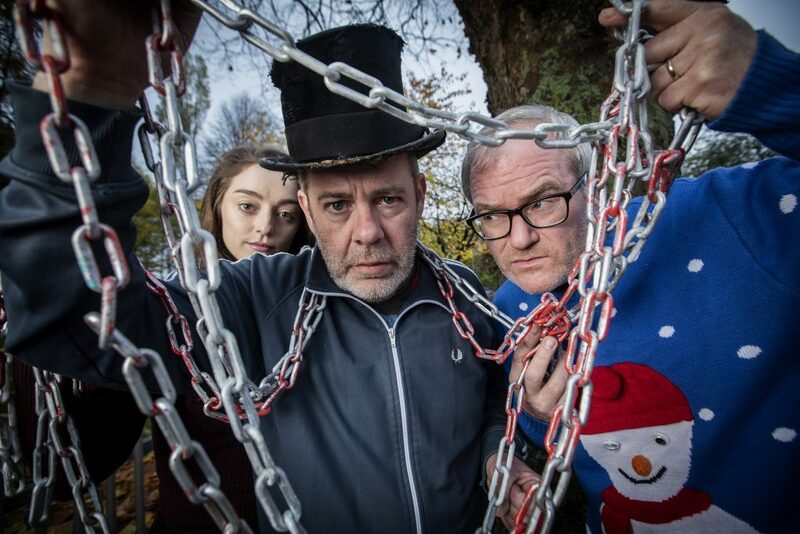 Well-known Northern Ireland double act and writers Conor Grimes and Alan McKee aka Grimes and McKee return to the Lyric Theatre this Christmas (17 Nov 2018 – 05 Jan 2019) with Bah, Humbug!, a modern day Belfast take on the classic Dickens tale A Christmas Carol. Meet Ebeneezer Scrooge (Michael Condron). 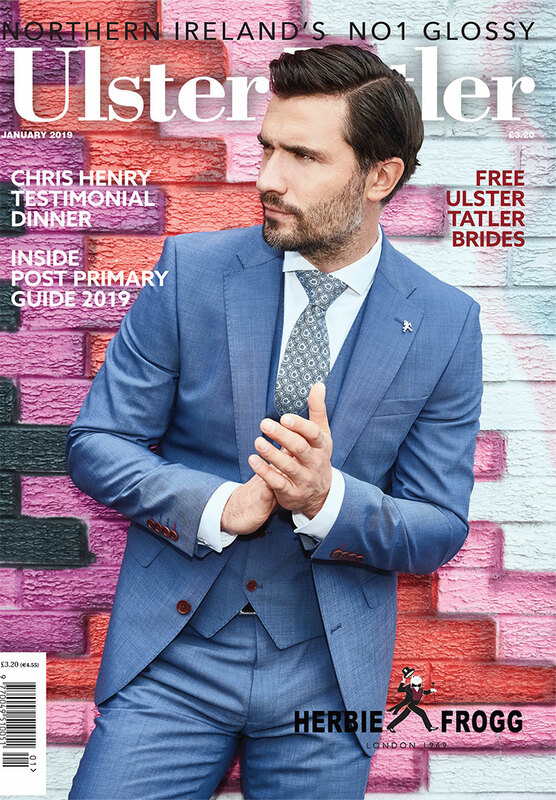 He is the richest property developer in Belfast and the most tight-fisted. Scrooge has an unsettling visit from his former ‘dead’ business partner Jacob Marley (Alan McKee) who along with three ‘scary biscuit’ spirits (Sophie Harkness and Roisin Gallagher) show him the error of this ways. But why should Scrooge change his way just because of Christmas? Even poor Bob Cratchitt (Conor Grimes) is only getting one day’s leave (unpaid). Directed by Frankie McCafferty, Bah, Humbug! is a not-to-be-missed Belfast take on this classic festive tale featuring a few scary songs and a really really scary dance. Will Scrooge change and repent of his greed? Will he help the poor and destitute and become a better man? Or will he remain the same old capitalist pig that he always has been? Cast members Sophie Harkness, Alan McKee and Conor Grimes.